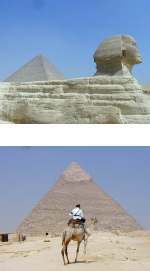 - Start the tour to Giza Pyramids. - Visit the Panorama to see the 3 Pyramids from far and take pictures. - Visit the Egyptian Museum containing over 120000 pieces. - Visit The Brilliant Collection of Tutankhamen. Travel to Aswan by flight. Transfer to Check in your Nile Cruise for 3 Nights. Lunch on board of your Cruise. - Start a full day tour to the city of Aswan. - Visit The High Dam. - Take a Motor to Philae Temple the Temple of Love for THE Goddess Isis. Dinner on Board of your Cruise. Breakfast on board your cruise. 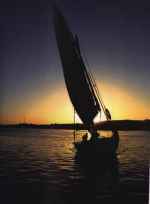 - Relax as you sail along the fertile Nile Valley with 2 stops at Komombo & Edfu Temples. - Visit Kom Ombo Temple of the Crocodile God Sobek. - Stop sailing to take a horse carriage to The Falcon God Horus Edfu Temple. - Continue sailing to pass Isna Lock. Lunch and dinner on board of your Nile Cruise. Breakfast on Board of your Cruise. - Visit the Temple of Hatshepsut and the Colossi of Memnon. - Opportunity to stroll around Luxor with your guide. Dinner on board of your Nile Cruise. Transfer to Cairo International Airport and final departure with your wonderful memories. • Meet & assist upon arrival and departure. • Accommodation in Cairo for 3 nights at 4 star hotel including daily breakfast. • Accommodation on 5 star Nile Cruise for 3 nights on full board basis. • Sightseeing tours during your stay aboard the cruise joining English-speaking Tour guide . • Entrance fees to all sites as indicated on the itinerary. • Egypt entry visa, for non restricted nationalities you can buy it upon arrival before passport control. • Any optional tours not mentioned in the itinerary. • Entrance fees to special archaeological sites like (Mummies room at the Egyptian Museum- Inside one of the Pyramids — Tutankhamen Tomb at Valley of the Kings).